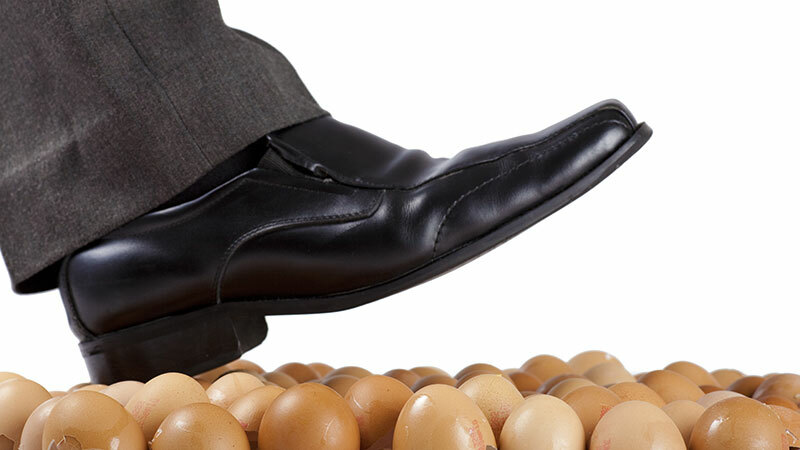 Are you walking on eggshells a lot in your intimate relationship? If so, you may be bonded to someone who has Borderline Personality Disorder traits. Borderline Personality Disorder is what it sounds like it is: it’s a personality disorder. Take the following survey to find out whether that special someone in your life fits these disturbing traits. These questions are not meant as a definitive scientific diagnosis, just a useful guideline. Rate each question with a number: Not a problem=0 Sometimes a problem=1 A problem half the time=2 A frequent concern=3 An ongoing problem of great concern=4. Do you find yourself hiding negative thoughts or feelings because it’s easier than dealing with your partner’s overreactions—or because talking about problems simply makes them worse? After you try to explain yourself to the other person, does s/he use your own words and contort them to prove his/her own point? Does your mate blame you for all the problems in his/her life, and your relationship, and refuse to acknowledge that his/her own actions cause problems? Is his/her temper so unpredictable that you’re constantly on your toes, adrenaline pumping, waiting for the next verbal attack? Is it difficult to enjoy the good times because you’ve learned never to let your guard down? When you come home from work each day, do you wonder whether Dr. Jeckel or Mr. Hyde will greet you at the door: the person who basks in your love or the petty tyrant whose energy supply seems to come from intense, violent and irrational rages? Do you feel manipulated, controlled or even lied to sometimes in an attempt for your partner to get what s/he wants? Does your mate seem to demand constant attention? Is everything always about him/her? Are you afraid to ask for things in the relationship because you’ll be told you’re selfish and demanding? Does s/he imply or show by example that your needs are not as important as his/her needs are? Do you feel that your partner’s expectations of you are constantly changing so you can never do anything right? Are you accused of doing things you never did and saying things you never said? Do you feel misunderstood? When you try to explain, do you find that your partner doesn’t believe you? Do other people remark that your partner is verbally or emotionally abusive? Do they encourage you to leave the relationship? If and when you try to leave, does your partner prevent you from departing? Do you have a hard time planning social engagements, vacations and other activities because the other person’s moodiness, impulsiveness or unpredictability may destroy your plans at the last minute? Now total your score. A score of 20 or more indicates that your partner probably has Borderline Personality Disorder traits. A score of 11-20 indicates a relationship with a “borderline” borderline: someone who may have borderline leanings but who can keep them somewhat in check. A score of 11 or below probably means that the person in your life does not have Borderline Personality Disorder. Source: The Stop Walking on Eggshells Workbook by Randi Kreger (New Harbinger).